Please call 301-933-3715 for 2018-2019 season flier, tickets, subscription discount. Web: www.musicalartsinternational.org. You can purchase MAI new release CD "Music Castle" & IYAPC, 3 CDs for $36. It will take you through a journey of our past 21 years of outstanding performers (young and seasoned) and their memorable playing. MAI is a 501 © 3 non-profit organization. Our fund raising campaign continues. Hope you will consider making a tax deductible donation to MAI. Please make check to MAI and send to 2603 Henderson Ave. Silver Spring, MD 20902. Thank you for your interest, as always, your support. Musical Arts International, Inc. (MAI) began in 1995 as a cultural outreach program in Montgomery County, Maryland. Its artistic mission is to encourage and inspire audiences of all ages to appreciate chamber music, to uncover the tremendous wealth and variety of music in its repertoire, to encourage and premiere new works and to advance cultural growth with artistic presentation featuring music of all styles. In the past, well known artists and ensembles featuring classical chamber works, past and nowadays, have been presented, and new works have been premiered. In 1999, a Jazz and folk music night was included featuring such greats as Gershwin, Porter, Ellington, and etc., in order to reach a wide audience in the community. High school students are encouraged to volunteer in concerts to earn credit for community service. In 2000, a web site was initiated. Our concerts have been featured in Gazette Entertainment, CultureSpotMC.com, Asian Fortune, World Journal, Washington Chinese Daily News and others. We have received favorable reviews from the Washington Post, World Journal and other local newspapers. Please read patrons comments. 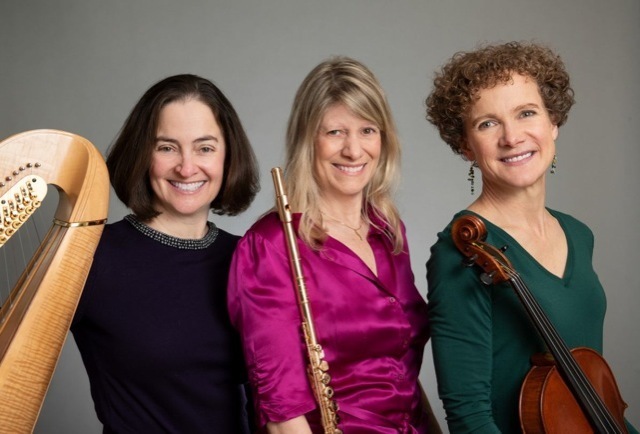 "Unique Trio to perform great Chamber Music from the past and music of living American composers." For more information regarding 2018-2019 season, donations, newly released CD-Music Castle, other CDs from the past seasons and group discount ticket sales, please contact musicalartsinternational@yahoo.com or call 301-933-3715.